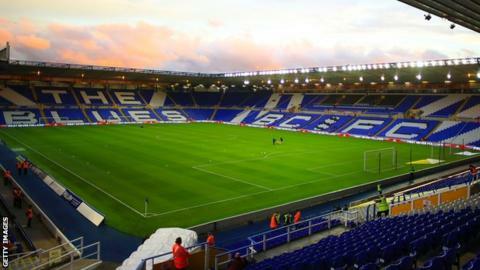 Birmingham City's hearing over their breach of profit and sustainability rules has been delayed until mid-March. Media speculation has long persisted that Blues are to be punished for the size of their 2017-18 season wage bill. The case was set for Tuesday, concluding a nine-month English Football League disciplinary process. But a conflict of interest for a member of the independent disciplinary commission, only discovered on Friday, has now caused a further delay. An EFL statement confirmed: "The hearing scheduled for this week had to be adjourned. "One of the members of the disciplinary commission regarded themselves as conflicted and withdrew themselves from the case. "The hearing will now take place in mid-March, with the intention of the disciplinary commission delivering the outcome quickly so the matter can be fully resolved before the end of this season." Blues have been operating under an EFL business plan since being charged with a breach of spending regulations at the end of last season. It has been widely anticipated that the Chinese-owned Championship club would be made an example of and hit with a significant points penalty as well as a potential fine. City revealed a £37.5m loss for the year to the end of June 2018, largely a result of their wage bill rising from £22m to almost £38m. Over a three-year period, losses in excess of £13m per year are not accepted under EFL rules. Birmingham are currently eighth in the Championship table - six points outside the play-off places and 17 clear of relegation trouble, with 13 games to go this season.